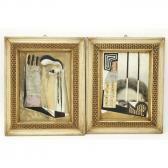 Find artworks, auction results, sale prices and pictures of C. Bucci at auctions worldwide. 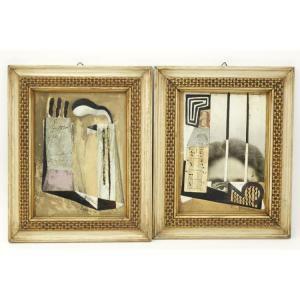 Two (2) Mid Century Italian Mixed Media Collages. Depicting abstract compositions. Signed C. Bucci dated '50. Framed. Toning, foxing. Measures 9-3/8" x 7", frames measure 12-1/2" x 10-1/4".